Edward Miguel is the Oxfam Professor of Environmental and Resource Economics and Faculty Director of the Center for Effective Global Action at the University of California, Berkeley, where he has taught since 2000. He earned S.B. degrees in both Economics and Mathematics from MIT, received a Ph.D. in Economics from Harvard University, where he was a National Science Foundation Fellow, and has been a visiting professor at Princeton University and Stanford University. Ted's main research focus is African economic development, including work on the economic causes and consequences of violence; the impact of ethnic divisions on local collective action; interactions between health, education, environment, and productivity for the poor; and methods for transparency in social science research. He has conducted field work in Kenya, Sierra Leone, Tanzania, and India. He has published over 80 articles and chapters in leading academic journals and collected volumes, and his work has been cited over 20,000 times according to Google Scholar. Miguel is a Faculty Research Associate of the National Bureau of Economic Research, has served as Associate Editor of the Quarterly Journal of Economics and Journal of Development Economics, is a recipient of the 2005 Alfred P. Sloan Fellowship, winner of the 2005 Kenneth J. Arrow Prize awarded annually by the International Health Economics Association for the Best Paper in Health Economics, and a 2002 Berkeley Hellman Fellow. He is a recipient of the 2015 U.C. Berkeley Carol D. Soc Distinguished Graduate Student Mentoring Award, the 2012 Berkeley campus-wide Distinguished Teaching Award, the Best Graduate Adviser Award in the Berkeley Economics Department, and has served on over 100 completed doctoral dissertation committees. Ted co-founded the Center for Effective Global Action (CEGA) in 2007 and serves as Faculty Director. He has served as the Co-organizer (with Dan Posner of UCLA) of the Working Group in African Political Economy (WGAPE) since 2002. 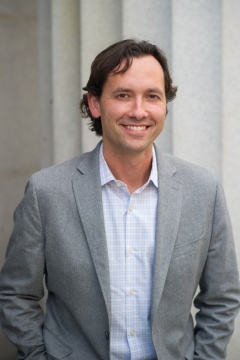 Ted is also the co-founder and Faculty Director of the Berkeley Initiative for Transparency in the Social Sciences (BITSS), and was a founding co-Director of the Berkeley Opportunity Lab (O-Lab). Miguel has written two books, Africa's Turn? (MIT Press 2009), and, with Ray Fisman, Economic Gangsters: Corruption, Violence and the Poverty of Nations (Princeton University Press 2008). Economic Gangsters has been translated into eleven languages, and the New York Times' Nicholas Kristof praises it as "smart and eminently readable". His third book, Transparent and Reproducible Social Science Research, with Garret Christensen and Jeremy Freese, is forthcoming with University of California Press. His other writing has appeared in Foreign Affairs, Forbes, and the New York Times.